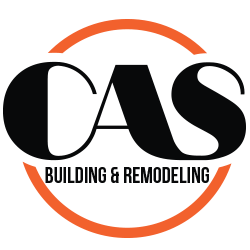 CAS Building and Remodeling has over 25+ years’ experience in the Bathroom Remodeling business, with a long history of satisfied clients in the Aledo, Weatherford, Grapevine and Fort Worth areas. As one of Fort Worth’s most highly reputed and reliable Bathroom Remodeling Contractors, CAS can offer you a considerable store of knowledge and experience to provide you with the bathroom remodel you desire, from the initial concept to the completed project. First of all, we will visit you in your home to hear what you have in mind for your bathroom remodel, and to make a thorough survey of the existing space. Designing a bathroom remodel is not just about accurate measurements; when we visit your home we will be looking not only at the shape, size and layout of your current bathroom, but how it fits in with the rest of the house. Is it an en-suite, family or half-bathroom? Is it the only bathroom, or one of several? Do you want there to be a common theme, or will it be a one-off design? A custom remodeled bathroom can reflect your lifestyle, your personal preferences and your needs, so it’s important to get it right, especially if you want to incorporate a custom bathtub, shower, or vanity unit. Whether you fancy a whirlpool bathtub or a custom power shower, our award-winning design team is fully aware of the latest innovations and popular styles in bathroom design. We are more than happy to offer our bathroom remodeling ideas and designs in conjunction with your own vision, so we can ensure that the bathroom remodel you envisage will be realized to its full potential. We can also carry out custom closet remodeling for you. For successful custom bathroom remodeling, CAS Building and Remodeling has all the expertise to give you the best bathroom that fits your budget, together with access to the widest range of products available, so that we can supply you with your ideal bathroom remodel at an honest and fair price. We also make sure that only the highest quality materials are used to carry out your project. We can advise you on what surfaces and colors to choose, what styles will best suit your individual needs, and what type of fixtures and fittings will work best in your bathroom remodel. We can also incorporate any new or existing design features you prefer, so that you will be perfectly satisfied that everything is just as you want it. And if an idea doesn’t work, or is likely to cause any kind of problem, we will tell you about it, upfront. CAS Building and Remodeling is well known in the Fort Worth, Grapevine, Southlake, Colleyville, Keller, Trophy Club, Weatherford and Aledo areas for outstanding customer service, with many of our clients coming back again and again to work with us on their construction projects. You can be secure in the knowledge that your bathroom remodel will be carried out with care, with experience, and with the best possible attention to time and cost constraints.